When food is plentiful and the kill is large a pride of Lions will feed without a lot of fuss. 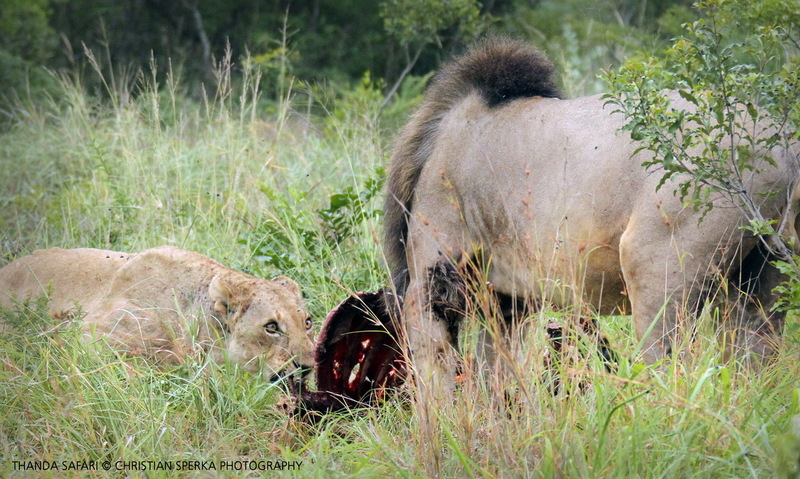 But if the carcass is small and there are many Lions it can be a rough meal. If the dominant male is present then he will demand to eat first in peace and quiet. If any other member of pride approaches there will be a lot of growling and if they come to close the huge paws and long claws will come into action. 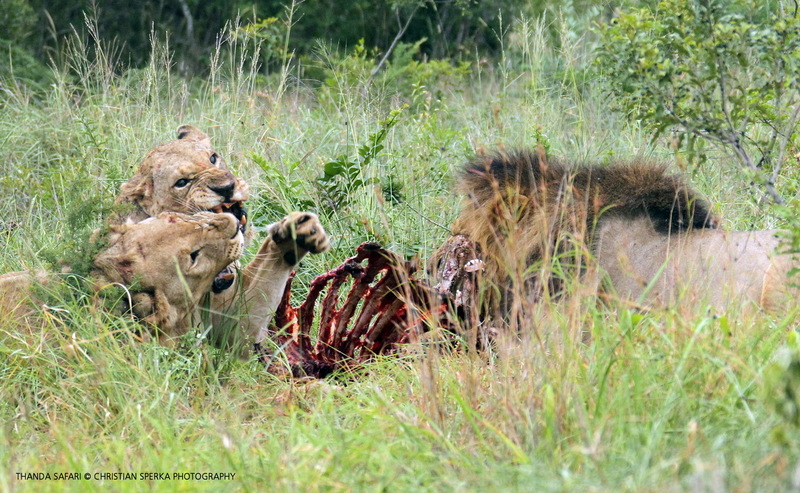 In this sighting two Lionesses and a young male had killed a Wildebeest and were feeding when the dominant male appeared. A fight over the food broke out. 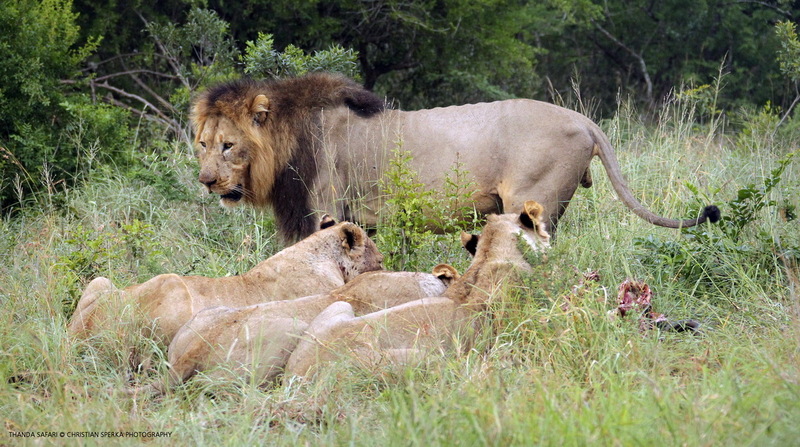 After the initial confrontation the Lions were ‘sharing’ the kill, but it was a noise and violent affair. After he finished his meal the large male got up and started walking towards a nearby waterhole for a drink. This gave the other three the opportunity to go back to ‘their’ kill!